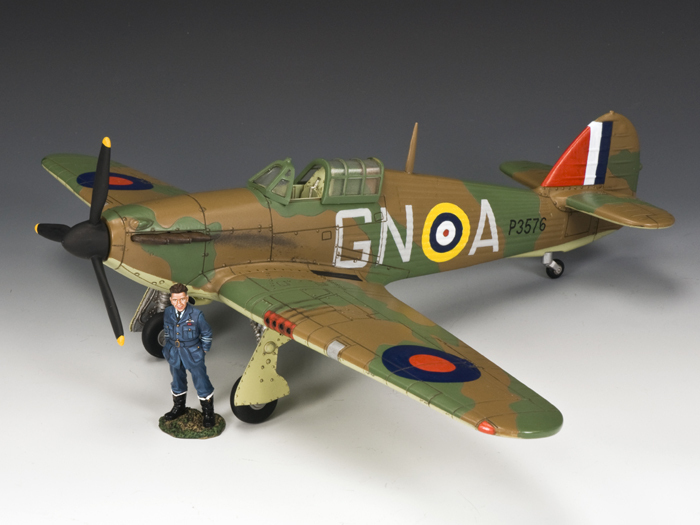 Flight Lieutenant James Nicolson was a pilot with No.249 Squadron when on August 16, 1940 he was flying “GNA” on an operational sortie near Southampton when he was fired on by a Messerschmitt Bf.110. Enemy fire injured him in one eye and badly wounded his left foot. At the same time his engine was hit and the petrol tank set alight. As he struggled to bail out from the burning aircraft another Bf.110 flew in front of him…Struggling to get back into his blazing Hurricane he pressed the gun button and saw his bullets strike the German plane. After seeing the enemy aircraft crash into the ground, Nicolson successfully bailed out. On his descent, painfully injured, he had the bad luck to be fired on by members of the “Home Guard”,…fortunately their accuracy was not as good as the young Flight Lieutenant’s! On November 15, 1940, it was announced that Flt.Lt. Nicolson had been awarded the Victoria Cross for “Conspicuous gallantry and disregard for his own life”. He was later promoted and sent out to fly in both India and Burma. By May 1945 he was now a Wing Commander but alas lost his life in a flying accident in the Bay of Bengal. His Victoria Cross can be seen at the Royal Air Force Museum, Hendon, England. 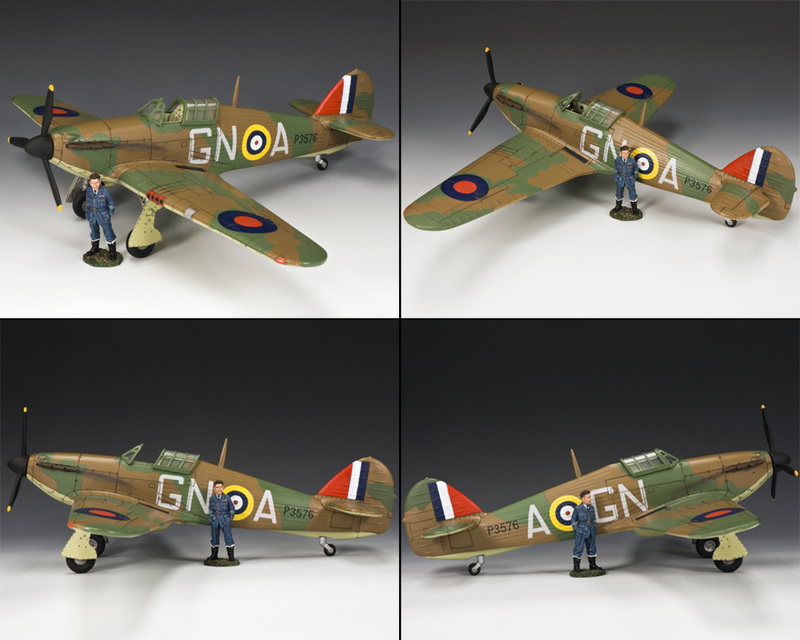 Our 1:30 scale Hawker Hurricane “GNA” comes with an unoccupied cockpit and a standing figure of Flight Lieutenant Nicolson. A specially-designed, full colour box also includes a certificate about James Nicolson V.C. Notice: This "SL" edition comprises just 300 aircraft and figures.